COMING SOON!! New exhibits website! 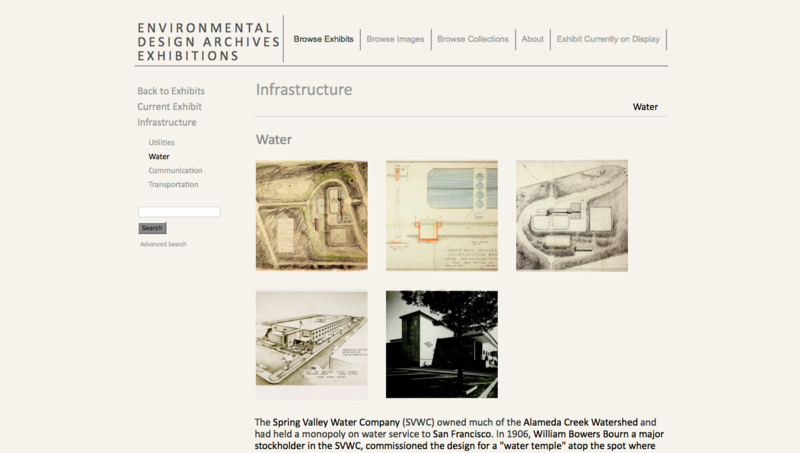 We are well on our way to updating our virtual exhibits website. 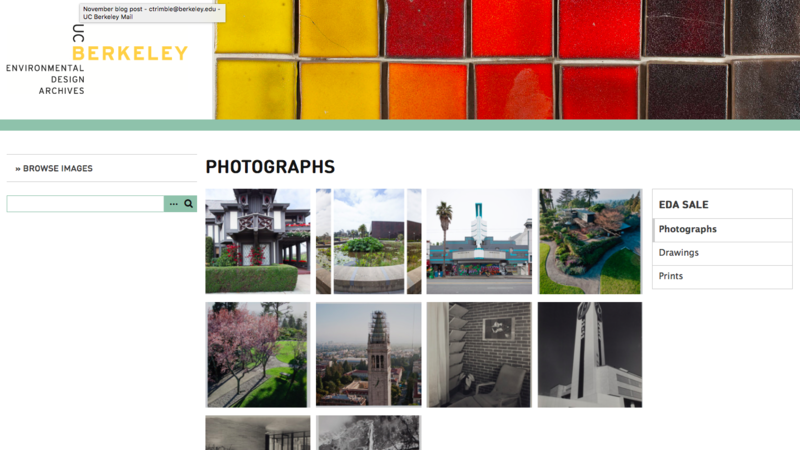 We have installed a new version of Omeka, the software used to run the website, customized the theme for the site, and are in the final stages of testing before we transition all of our content. You have an opportunity to help us out with this! The archives recently hosted a silent auction fund-raiser and many of the items remain unsold. As a way to test the new website, we are hosting an online sale of the remaining items. Check out the sale here and let us know what you think of the new site and if you come across any bugs. 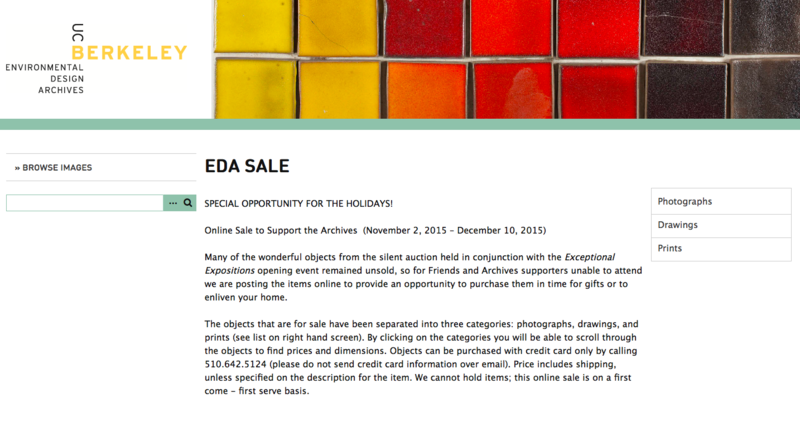 Many of the changes are on the back end organization, but you will notice that the new site is organized more like the EDA website and navigating exhibits (the sale categories in this case) is slightly different. We want to make clear that we are not selling items from collections. All items are either prints from made from our collections or were donated expressly for sale. The sale will run from November 2 - December 10 and the virtual exhibits content will not be transferred to the new site until after that date, sometime in mid-January. We have been putting off adding new exhibits to our current page until after we make the transition so look for new virtual exhibits in January!